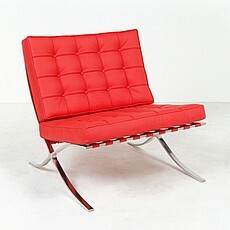 Stock Status:Back in stock Mid-February; order now for earliest delivery. 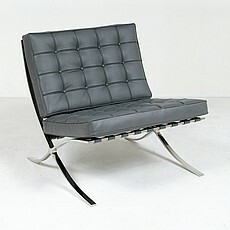 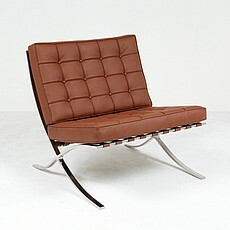 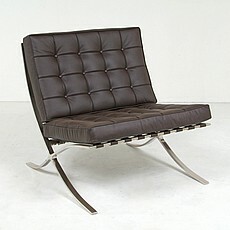 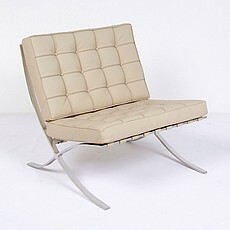 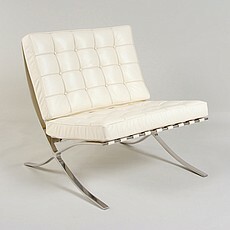 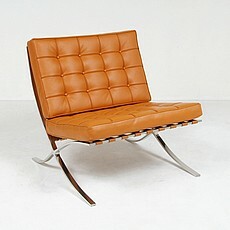 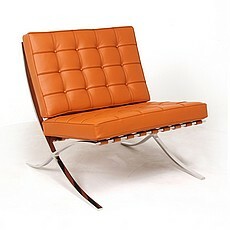 Our Exhibition chair was inspired by the Mies van der Rohe lounge chair known the world over as the "Barcelona Chair". 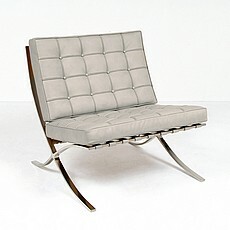 Our frame is constructed from premium grade solid bar stock stainless steel. 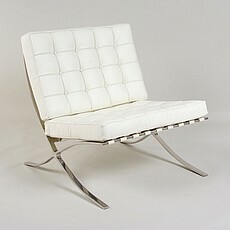 All joints are fully welded, sealed, and seamless. 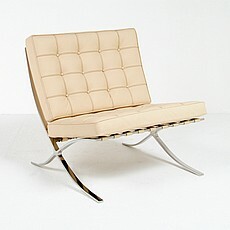 The frame is hand-polished to a mirror-like finish. 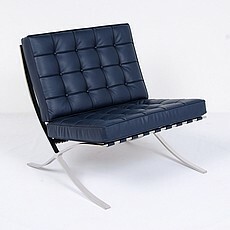 Four snaps attach the back cushion to the frame; 2 snaps and a belt attach the bottom cushion to the frame. 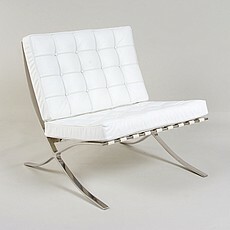 For an extra charge, we can powdercoat the frame.